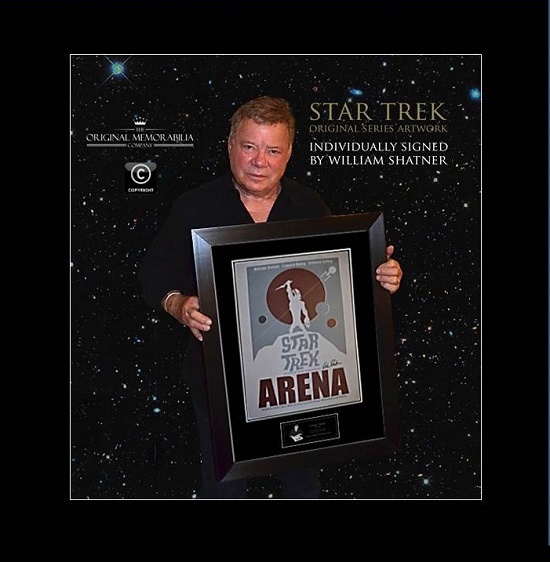 'Arena' sees a superior alien race bring Captain Kirk into combat with the reptilian captain of an alien ship. They transport Kirk and a Gorn to an uninhabited asteroid to fight to the death. 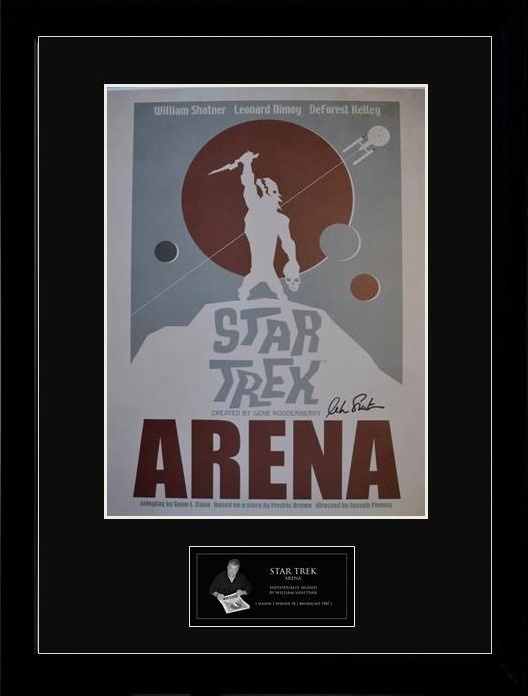 This high quality print is officially licensed by CBS and has been printed on heavy 250gsm and is reproduced from the critically acclaimed Star Trek retro artwork of Juan Ortiz produced and published in 2012. 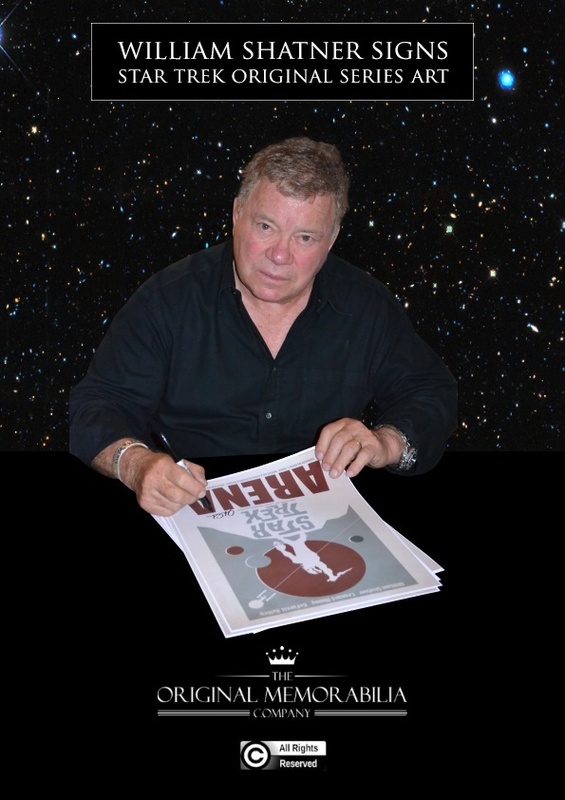 Every single print is guaranteed to have been individually and personally signed by William Shatner in high density black ink at an official signing with ‘The Original Memorabilia Company’. 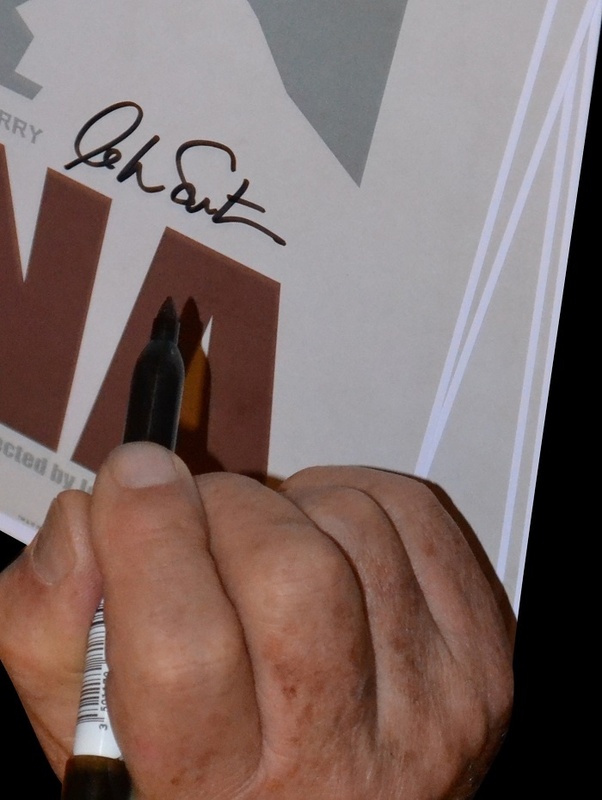 Your purchase is safeguarded by our unique Document of Ownership & Certificate of Authenticity that is provided with every purchase which will include a photograph of William Shatner signing ‘this artwork’. 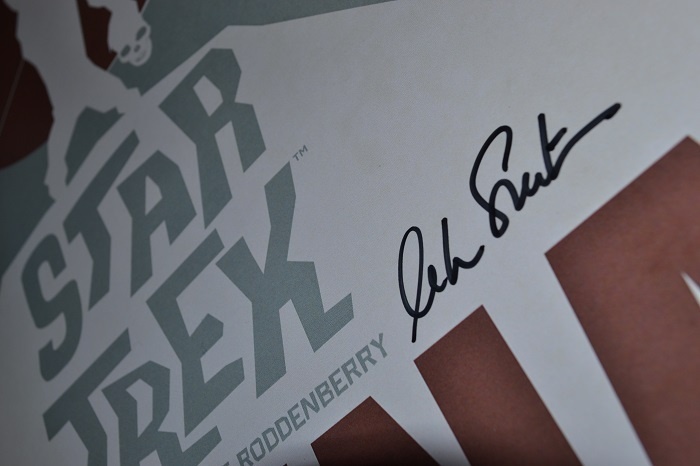 What is included when you order this unframed item? 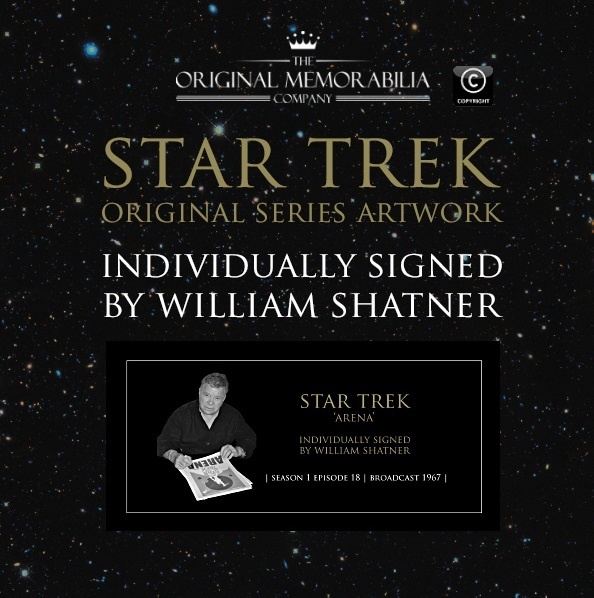 * A high quality print individually signed by William Shatner. A high quality 400gsm plaque giving a high quality final touch to your purchase. 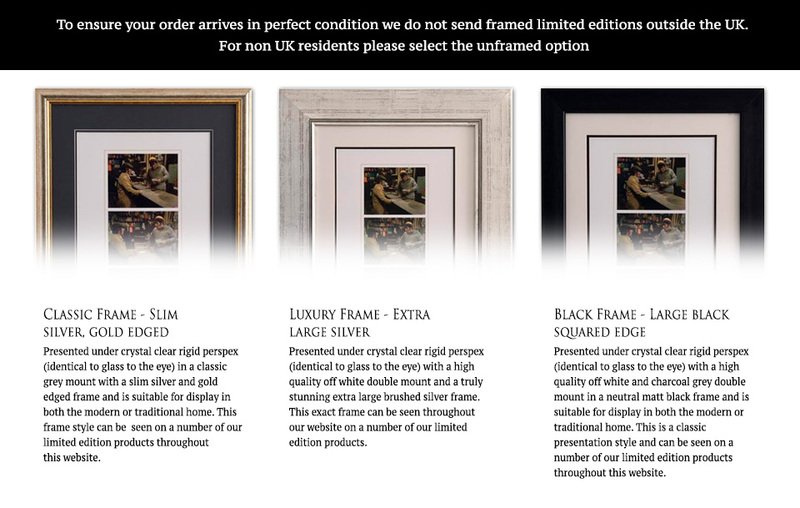 To ensure your order arrives in perfect condition we do not ship framed products overseas. For orders outside of the UK please choose the unframed option. What is included in your FRAMED purchase? * A silver foil blocked display plaque giving a high quality final touch to your purchase. * A high quality contemporary black frame and black double mount that perfectly complements this stunning collectible.